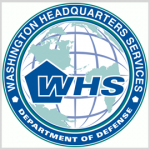 The Washington Headquarters Services' office is seeking information on small mobile nuclear reactors to support the U.S. military's mobile energy needs. The agency said Friday in a FedBizOpps notice that it is interested in concepts for a small nuclear reactor demonstration on behalf of the Office of the Undersecretary of Defense for Research and Engineering. Such a reactor would have a maximum weight of 40 tons; a size transportable via truck, ship and C-17 aircraft; and threshold power output of up to 10 electric megawatts. The gathered input would inform the first phase of a multistage effort supporting Project Dilithium. Responses to the notice are due on Feb. 8.